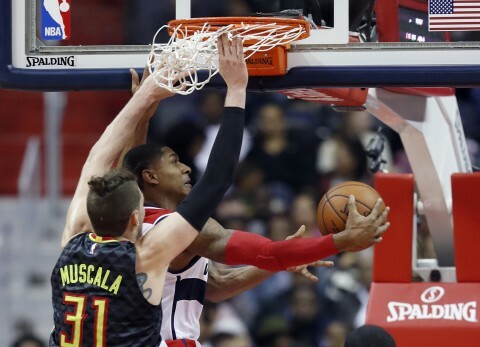 The Washington Wizards quest to the NBA Finals starts with the Atlanta Hawks in the first round. Washington won the season series 3-1 despite losing to Atlanta on opening night back in October. This is good for the Wizards going against a team they have success with. Although they had success during the season, this is a whole different stage to perform on. Anything can happen with a NBA championship on the line. The Hawks finished off the season winning four of their last five games, including two wins against Cleveland and a win against Boston. They got hot at the right time and the Wizards will have to be on point to take this series. The first step to stopping Atlanta is slowing down all-star Paul Milsap. Milsap is a all-around player and can do it all. From shooting inside and out to defending, Milsap has the whole package. Even if Milsap The next task is keeping Dwight Howard off the boards. Howard has had double-digit rebounds in each game against Washington this season. These rebounds lead to second chance points and momentum changes. Dennis Schroder is a floor operator and can help Atlanta move the ball. He also has good speed and acne drive the lane and shoot or pass. Tim Hardaway, Jr. is a flat out scorer and is most dangerous behind the arc. These four players are the reason for Atlanta’s most recent success. If they all play their roles, Washington could have an early exit. 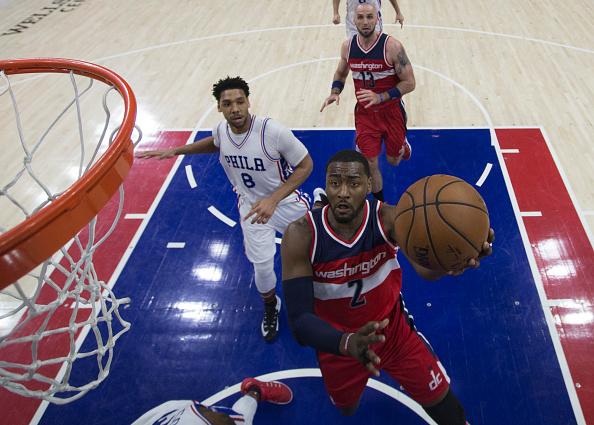 The Wizards struggled all season with trying to come from behind to win games. They can not do that against Atlanta or they won’t see the second round. 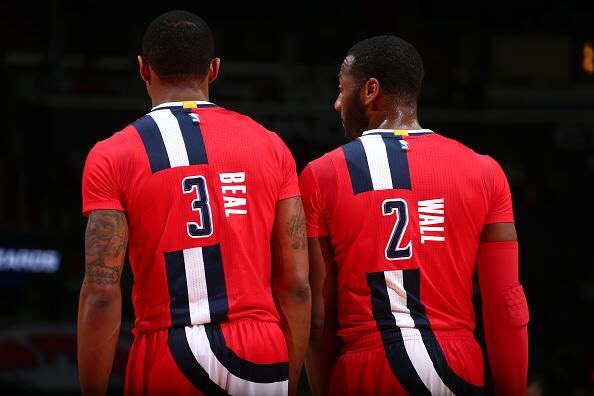 John Wall and Bradley Beal are of course the leaders on this team. They will have good games throughout this series but they can not do it alone. The biggest keys to beating the Hawks is defense, the frontcourt and the bench. After a solid start to the season, the Wizards starting frontcourt has not been the same following the all-star break. They are one of the most inconsistent frontcourts in the league at the moment. Marcin Gortat has completely lost his touch. Otto Porter, Jr. can not find his shot and is slipping on defense. Markieff Morris is the most consistent out of the three but is still up and down as well. They have to pull it together in order to keep Washington playoff hopes alive. This includes rebounding, shooting and defense. 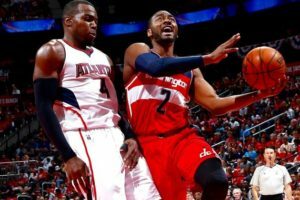 If they can assist Wall and Beal, it will make a win more likely to happen. After tha acquisition of Bojan Bogdanovic and Brandon Jennings, the Wizards bench was playing extremely well. They have gone downhill towards the end of the season which is not good. When the starters come out of the game, they the bench either to keep a lead or try to take the lead. This makes the starters jobs much easier then having to make up ground for them every game. Jennings, Bogdanovic, Kelly Oubre, Jr. and Ian Mahinmi are all great role players. They each have certain abilities that make them a good unit when playing together. Lastly, the Wizards have to play better defense. In regards to the Hawks, they need to guard the perimeter and paint. The Hawks have good inside and outside players, so Washington will need to be aggressive on the defensive end. If Washington has consistency in these three areas of play, they will move on to the next round and move closer to the reality of a NBA Championship.